Fire prevention is everyone’s responsibility. 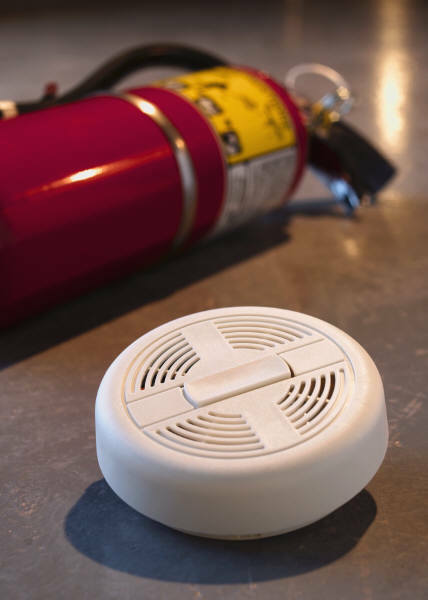 Do your home and workplace have working Smoke Detectors? Do your home and workplace have a working Fire Extinguisher? Do you know your fire escape route? Keep matches and lighters out of sight: in the hands of a child, matches and lighters can be deadly. Store them out of children’s reach. Stop, drop and roll: if your clothing catches fire don’t run ... stop, drop and roll. Cool burns with clean water and call for help. The risk of a significant wildfire in a west coast urban area like Colwood is low. While there may be occasional small bush and grass fires, Colwood does not experience the same fuel loading, weather conditions, or fire behaviour that may happen in other parts of the province. For example, the Northern Peace region and the Central Interior experience extended periods of prolonged drought and high temperatures, coupled with vast forested areas and grasslands that severely affect the onset of wild fire conditions. Vancouver Island and more specifically Colwood do not experience these extreme factors as in other parts of the province. The Colwood Fire department works with the Public Works department to identify and mitigate all potential fire risks using a natural forest approach where tree falls and other debris rot in place to maintain soil moisture and preserve tree health. Think a product you have purchased may cause a fire safety risk? Check Health Canada for information about consumer product safety, and find out about hazardous products that have been recalled on the Consumer Product Safety Commission website. Fireworks present an extreme safety risk. The City of Colwood prohibits the possession, discharge and sale of fireworks. Anyone wishing to obtain a permit must apply to City Hall and produce a current safety course certificate from a local fireworks safety discharge course or higher pyrotechnical certification. More details can be found in Bylaw 891. We encourage you to enjoy fireworks events put on by trained personnel, rather than use consumer fireworks. These public events decrease the very real risk of personal injury and property damage that may result from improper use of fireworks. Never point or throw fireworks at anyone or anything. Only low hazard fireworks are to be used by the general public. Firecrackers and bottle rockets are prohibited throughout Canada by federal regulation. Choose a safe outdoor area for discharging fireworks: a bare area of ground away from buildings, overhead obstructions, trees, vehicles, dry grass and other flammables. A bucket or wheelbarrow filled with soil or sand makes a good secure base. Spectators should watch from a safe distance, at least 20 metres upwind. A stick should be used to light fireworks, rather than matches or a lighter. Either a garden hose or a large bucket of water or sand should be ready at the site. Duds should be left untouched for a minimum of 30 minutes. Dispose of spent firework casings in a container of water.